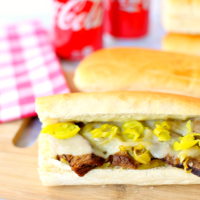 These Slow Cooker Coca-Cola® Hot Beef Sandwiches are delicious and full of flavor. 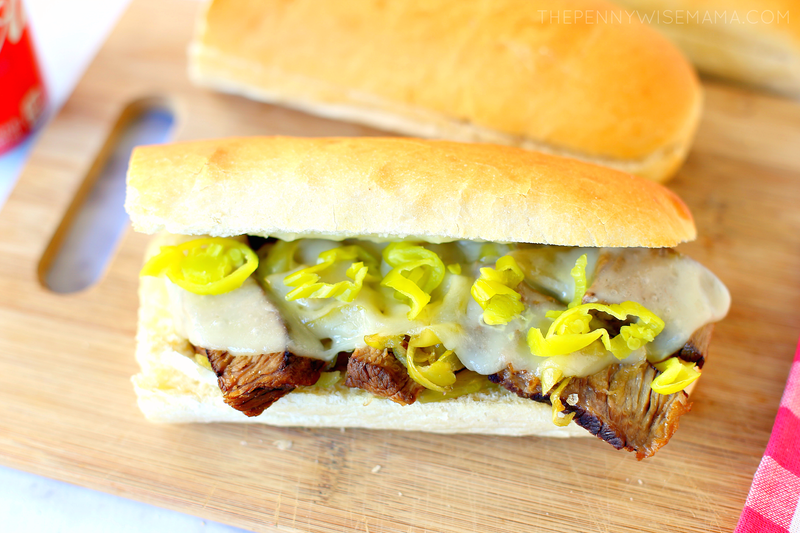 Meat and toppings are slow cooked to perfection and then added to hoagie rolls and topped with provolone cheese. Warm, cheesy, and satisfying, these sandwiches are perfect for busy nights, lazy weekends, or parties! This post has been sponsored by the Coca-Cola Company. All thoughts and opinions are my own. Now that the weather has turned cooler, I’ve been using my slow cooker a lot more. I’ve been making soups, casseroles, roasts, sandwiches — basically anything I can think of that is warm and delicious to bring comfort to these cold days! The other day I made one of my favorite recipes — Hot Beef Sandwiches — and instead of making them on the stove, I made them in my slow cooker. They were so easy to make and turned out amazing! I’m definitely planning on making them again over the holidays. This holiday season we will be staying home and spending time with our family that lives in town. Besides our traditional holiday meals, we will be having guests over for dinner at least a couple of times over the holidays. I was already planning on making my Zuppa Toscana Soup Recipe (a family favorite), and after making these Slow Cooker Hot Beef Sandwiches, I can’t wait to make them again for my guests. There are many different variations of hot beef sandwiches, but the one I’ve always made (thanks to my sister) combines roast beef, onions, sliced pepperoncini, pepperoncini juice, and beef consommè (or beef broth), along with provolone cheese. It’s super simple but packs in a ton of unique, unbelievably delicious flavor. It’s a hit every time I make it! The recipe I’m sharing today is essentially the same thing, only I added a secret ingredient to take these sandwiches to the next level…COCA-COLA®! It may seem weird, but just trust me on this. The soda helps tenderize the meat, which is super important when you are cooking a roast. I’ve used it for years to tenderize pot roast, pulled pork/chicken, and more, which is why I always make sure that I have a stockpile of Coca-Cola® on hand. It’s a wonderful addition to just about any meat recipe! Besides being delicious, the best thing about these sandwiches is they are SO easy to make. We’re talking just 5 minutes of prep and then all the magic happens in the slow cooker. Simply combine onion, chuck roast, Coca-Cola®, beef consommè, sliced golden Greek pepperoncini, and pepperoncini juice in your slow cooker and cook on low for 4 hours. Then remove the roast and slice into very thin slices — this is super important, otherwise the meat won’t be as tender (some of my pieces were thicker and weren’t as tender). Then place the sliced meat back in your slow cooker and cook on low for an additional 2 hours to let it soak up all the yummy flavor. 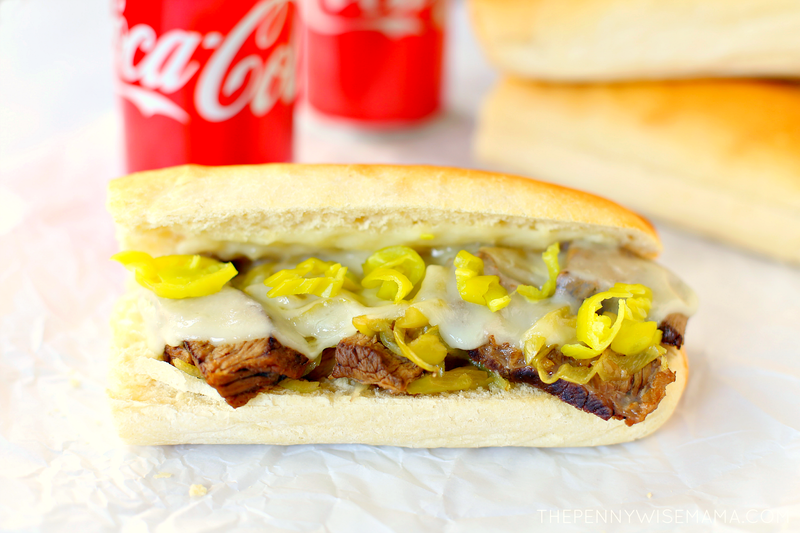 Remove meat, onions and pepperoncini and add it to your favorite hoagie rolls (I buy mine from my favorite sub shop) and top with provolone cheese. Pop in the oven just long enough to melt the cheese and then remove, add more pepperoncini slices and then devour your gooey, savory sandwich! 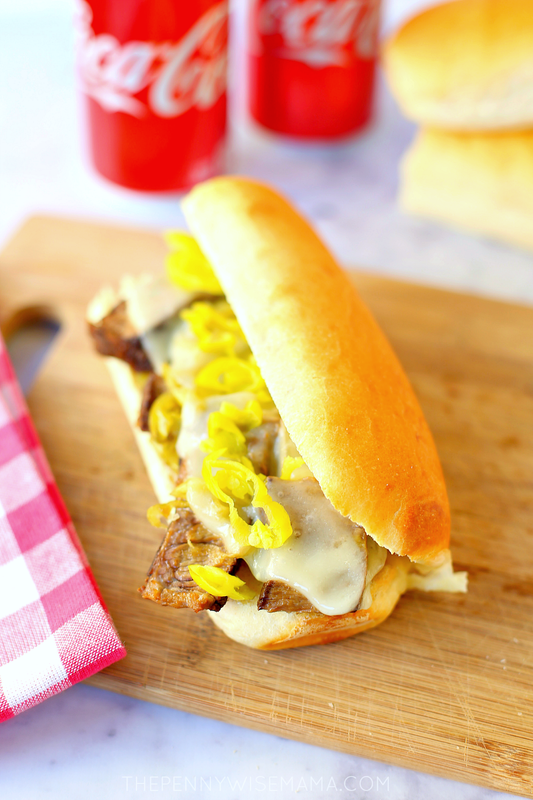 If you get your slow cooker going by mid-morning, you’ll have tender, flavorful meat and toppings ready to put in your favorite hoagie rolls by early evening. Don’t take my word for it — try this recipe for yourself and let me know what you think! 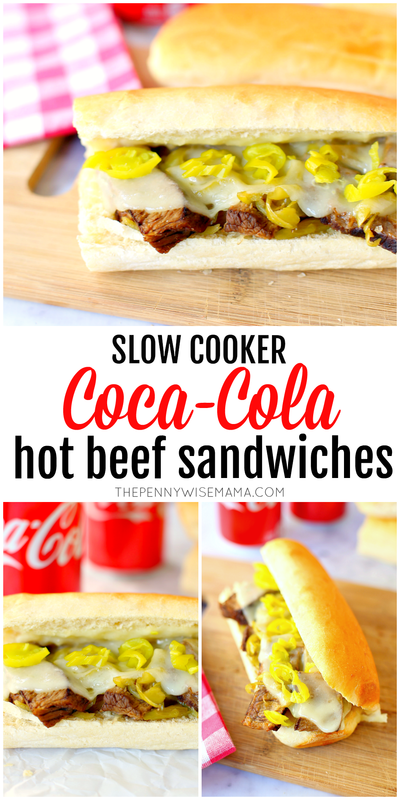 These Slow Cooker Coca-Cola® Hot Beef Sandwiches are delicious and full of flavor. 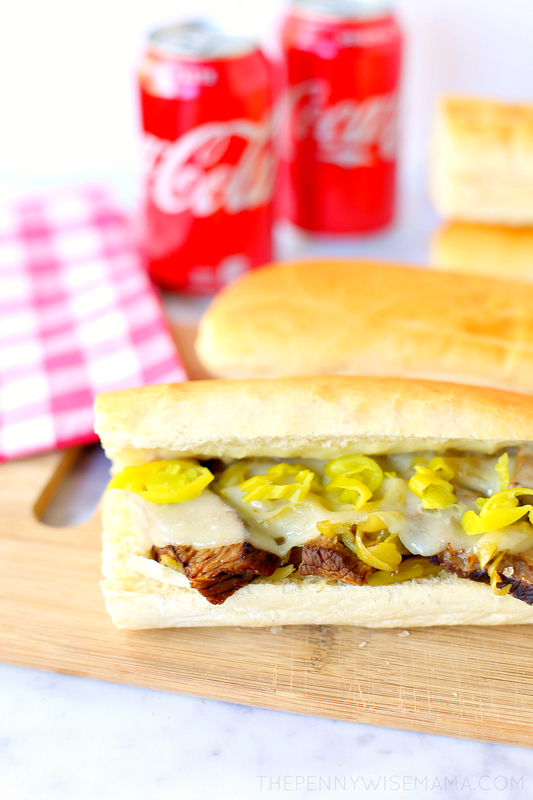 Meat and toppings are slow cooked to perfection and then added to hoagie rolls and topped with provolone cheese. Warm, cheesy, and satisfying, these sandwiches are perfect for busy nights, lazy weekends, or parties! Combine onion, chuck roast, Coca-Cola®, beef consommé, and 3/4 jar of pepperoncini (including the pepperoncini juice) in slow cooker. Cover and cook on low for 4 hours. Remove roast from slow cooker and slice into very thin slices. Place sliced meat back into slow cooker and stir into liquid. Cover and cook on low for an additional 2 hours. Split hoagie rolls and place on baking sheet. Top each roll with drained meat, onions, peperoncini and 2 slices of cheese. Bake sandwiches at 350F for 5 minutes or until cheese is melted. Top with remaining peperoncini slices if desired and serve. Recipe makes 6-8 sandwiches. Servings will vary based on size of rolls and how much meat you put on each. As you shop for all your holiday entertaining needs, make sure you stop by your local Sam’s Club to pick up all your favorite Coca-Cola® products. Upload your receipt and you’ll be entered to WIN a Grand Prize Sweepstakes Trip to LA to see The Greatest Showman. Good luck! I remember my Grandma pouring Coke on her roasts or hams. I bet this would be great because my Grandma’s tasted good! What a delicious recipe idea! My grandsons will have a ton of days off from school over Christmas break so I think I’ll try the recipe then! This is a pin for me, it sounds delicious and so easy to make. This looks so good, like something you would get from a New York deli. I love banana peppers. I love putting a roast in the slow cooker for French Dips so this would be right up my alley. This look so delicious. My kids would love this delicious sandwich and it is easy to make and I will have to make these sandwiches for us. Thanks for the recipe. 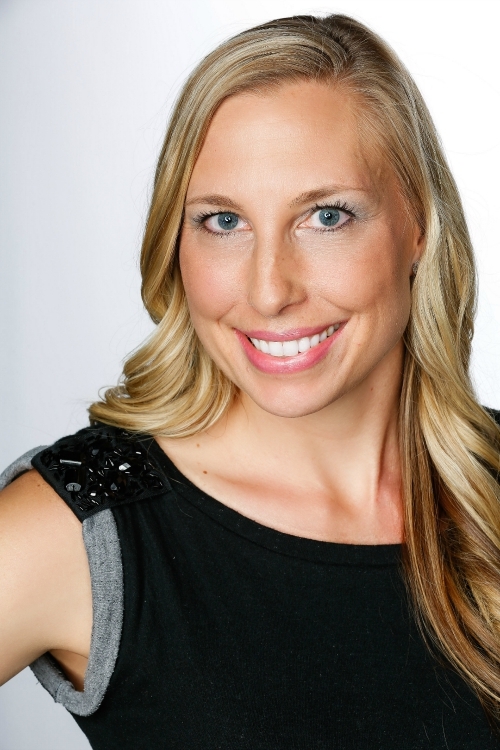 I use my slow cooker at least once a day and am definitely going to try this recipe! My family would love these sandwiches! Thank you for sharing. I use my crockpot all the time. I have used Coca Cola on meatballs but never roast. This looks delicious! These sandwiches look so delicious. I will have to make these for my family. What a delicious way to use coke a cola.We would love this.